National Dog Weak? I “Beg” to Differ! Thank you for all the searches that are bringing so many to this site today, the first day of National Dog Week! Very excited to be recording a great segment for ImpactRado.com with Dr. Patrick Mahaney and NDW Artist Donald Brown this evening. 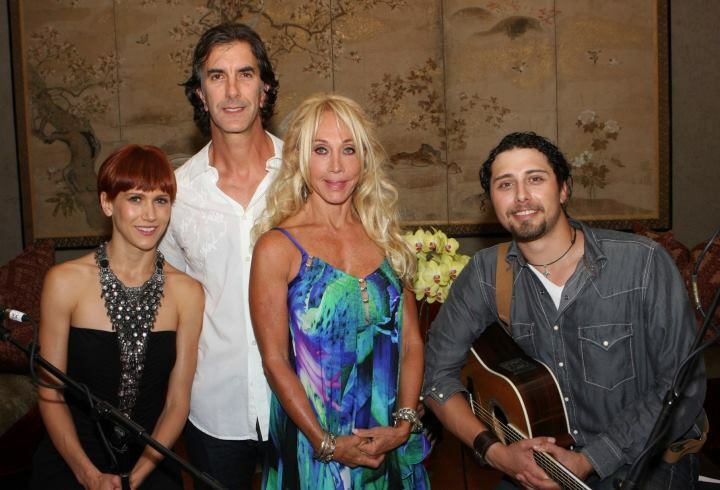 Today, I asked Robert Cabral, Founder of Bound Angels and a guest of this Blog in July and August, for his take on National Dog Week…Robert is pictured here at a recent Fundraiser for Bound Angels in Malibu, CA. “National Dog Week brings recognition to man’s best friend. A deserving tribute to a creature that has walked by our side and slept at our feet for thousands of years. Celebrating his life and legacy is a celebration of love and dedication. To celebrate National Dog Week, please watch Orlando Brown’s tribute to dogs and their humans -HERO.” http://www.youtube.com/watch?v=S3n4tTBTCdY (Directed by Robert, too). 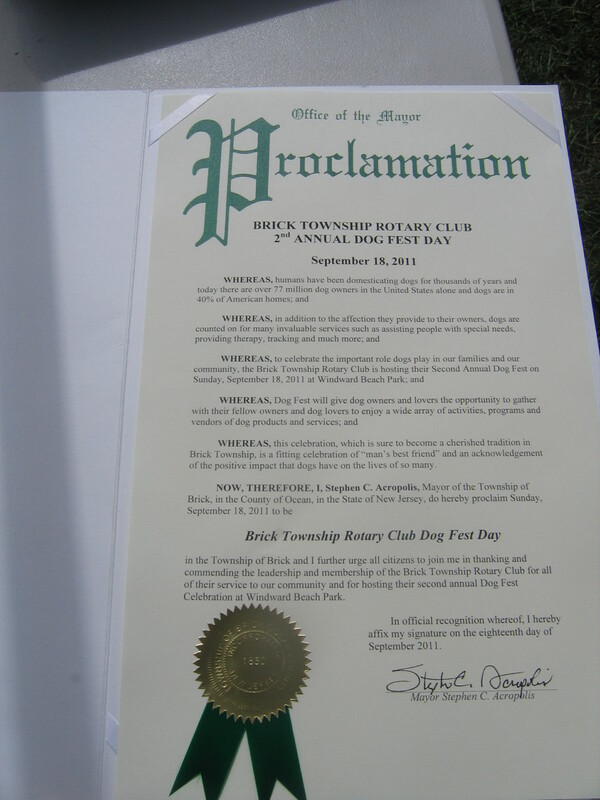 Brick, NJ is proclaimed a National Dog Week City! 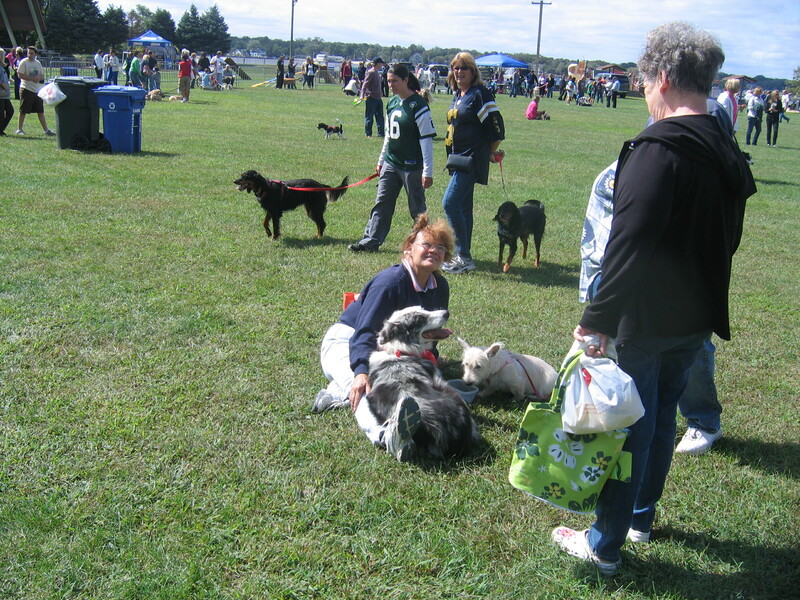 Today, I thought it would be appropriate to share some photos of Brick Township’s (NJ) 2nd Celebration of Dog Fest. My town even chose to proclaim itself a National Dog Week City! I chose the occasion to collect for Covers for Critters and to have young people make Pet Postcards for Nikki Moustaki’s unique Pet Postcard Project. In all, there must have been over 1,000 dogs and nearly double the humans. The spirit of these people and their dogs was inspiring. Even the little dog named Jose, a mature Maltese who had just been dropped off at the shelter the day before, seemed happy, even though he had not found a new home by day’s end. Other dogs did, though, and that was nice to see. I would like to personally thank the Brick Township Rotary for their hard work in presenting this Festival and for donating the material for the Pet Postcards. My friends from the Ladies Auxiliary of Brick Township’s American Legion Post 348 supported me by bringing used linens and blankets to the Festival. 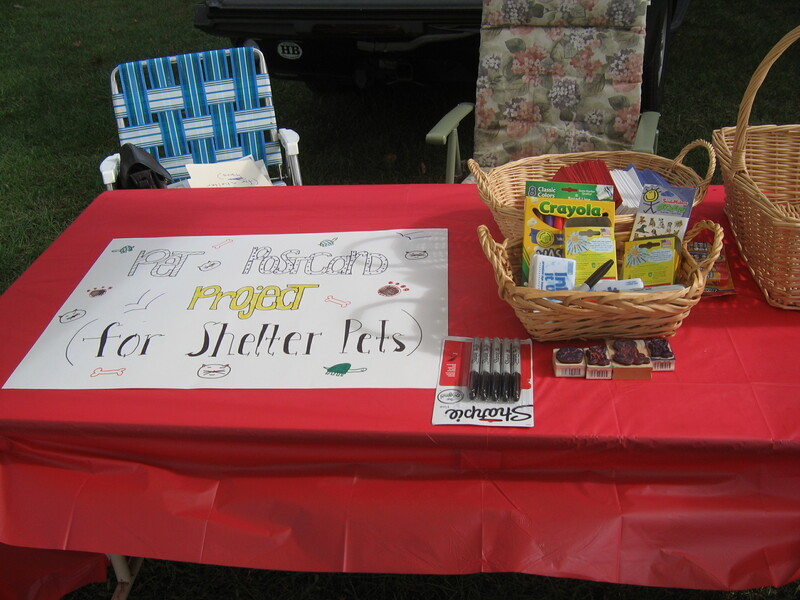 These items will be shared with local animal shelters. I would also like to thank Dr. Patrick Mahaney and Artist Donald E. Brown for their work on behalf of National Dog Week. Their knowledge and talent have really helped me reach out to so many. I truly hope we will continue to work together. During this week, and beyond, I will look back at some earlier posts that inspired me and others. Please remember to go to the National Dog Week Community Page and LIKE us and Post a picture of your dogs to be eligible to win an original canine portrait by Donald Brown (ends on October 7). I will also present some of the special dogs I have come to know through this Blog on that page. Today, like many times before, I was struck by how young people respond to animals. 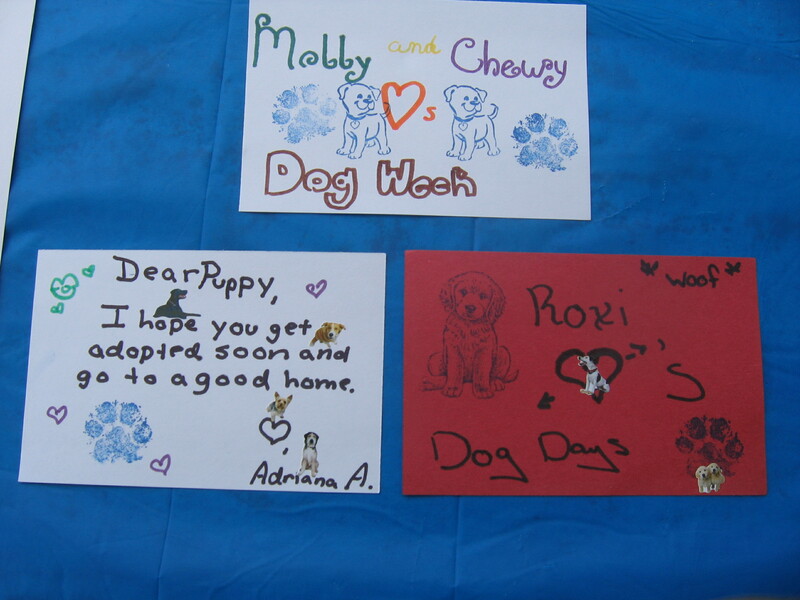 As one little girl made a postcard today, she said, “I am so happy that I am helping dogs today.” On that note, I will also be presenting an essay written by a 10-year old girl who exemplifies the true spirit of National Dog Week. Children, without pretense or falsehood, are the true messengers of what this week is all about. 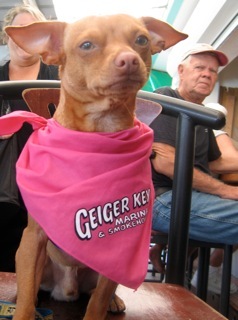 The spirit of National Dog Week remains strong, and I thank everyone who supports this blog, my writing and my efforts…by doing so, you are part of the history of this special Movement that can show no weakness…Its Founder, Captain Will Judy, would be proud. Happy National Dog Week! Keep on blogging. I will! 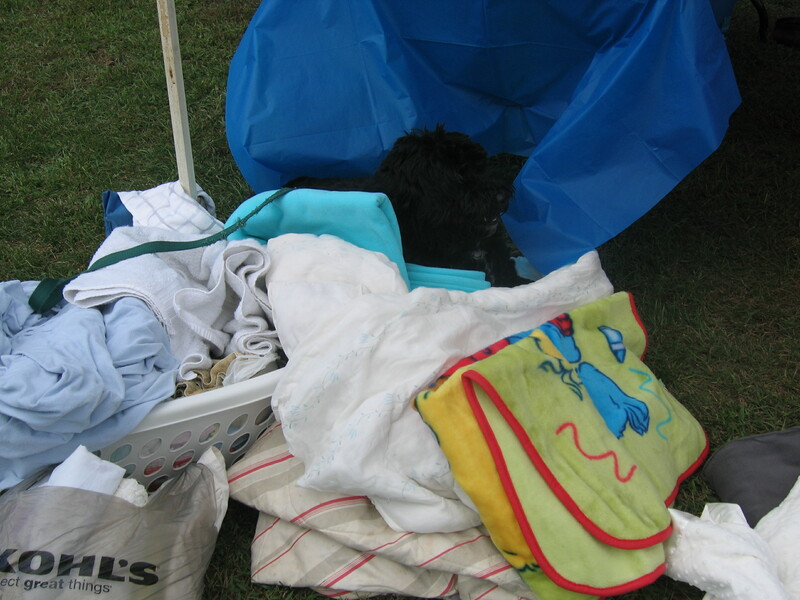 You have been a great supporter, thank you…Happy Dog Week to you and your pup. Have a wonderful “NDW ” Lisa. You are helping a very good idea from another century become a reality. This is wonderful !! If we have and approve of special days for humans, Dogs surely deserve a week ! Best of luck ! I would love to see NDW embraced the way it was in the 40s, after WWII. Dogs filled places like Rockefeller Center, educating the masses about breed knowledge and Obedience Training and yes, slogans even included “A Good Home for Every Dog.” That theme is still relevant, and so is National Dog Week. Thank you WW for being a tireless and thought-provoking advocate for the animals of the entire nation. Your ability to see laws passed and educate others about the importance of Spay and Neuter embrace the NDW mission. Thank you for your support. Thank you SR…it really has been an exciting process. 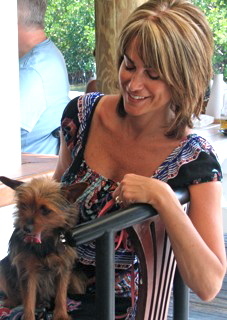 I’ve come to know people from around the nation and beyond who really understand the importance of the dog/human bond. The answer does rest in education. Kids love the idea of NDW and I always share it with them when I teach. They are the future of our animal care system. Thank you, too, for sharing the principles of Shelter Revolution with me so that I can share with others. We will continue to present this in future blogs, too. Happy NDW to you! Great post! Love the photos. Here are a few of my ideas on how to show your pup some extra love this week: http://dcdoggie.com/2011/09/19/celebrate-national-dog-week/.